The year was 1884, and Grover Cleveland had just been elected the 25th President of the 38 United States of America. Milwaukee was the country's 17th largest city with nearly 140,000 residents. John L. Sullivan was the heavyweight boxing champion of the world. Mark Twain, Louisa May Alcott and Walt Whitman were the nation's bestselling authors. Other famous celebrities included showman P.T Barnum and his diminutive 3’4” star Tom Thumb; William "Buffalo Bill" Cody sold out venues across the country with his popular "Wild West Show" featuring sharpshooter Annie Oakley. ​The whole nation knew the melodies and lyrics of Stephen Foster’s songs and the marches of John Philip Sousa while Scott Joplin was popularizing a brand new musical genre called "Ragtime". And, on the NW corner of Center Street and Humboldt Boulevard in what is now known as the Riverwest neighborhood, an enterprising publican opened his own tavern, eponymously called The Barnet Kozlowski Saloon. The new enterprise was so successful that in 1891 the Schlitz Brewing Company contracted with Kozlowski to operate his popular watering hole as a "Tied House" selling only “The Beer that Made Milwaukee Famous." Even during Prohibition, the establishment prospered under new owners as the Gordon Park Pharmacy where, for the right price and perhaps a secret password, determined patrons could procure "medicinal beverages." From the end of Prohibition through the early 1950s , the corner tavern went through several owners and name changes till a transplanted New Yorker named Chic Giacalone purchased the property in 1952 and re-named it the Uptowner. 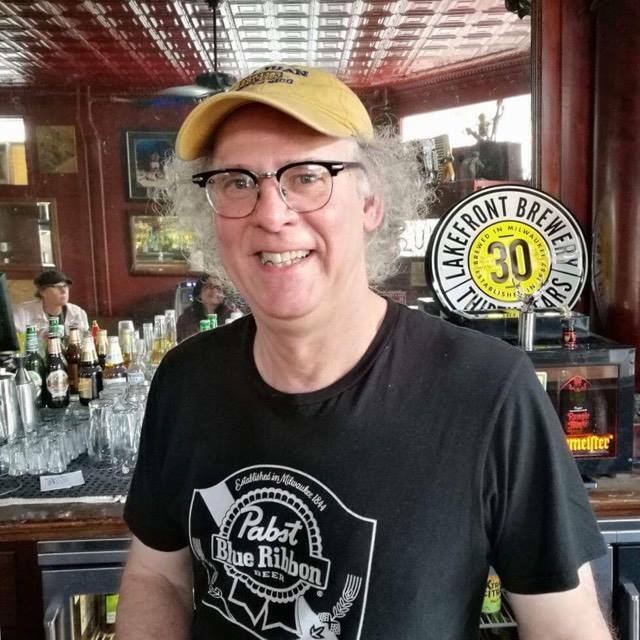 Then in 1985, Steve Johnson, an aspiring impresario with a keen eye for investments, purchased the Uptowner and under his shrewd, if somewhat unorthodox managerial style, it still flourishes today as one of Milwaukee's last of the original Schlitz "Tied Houses" and continuously operating purveyor of adult beverages for 133 years. 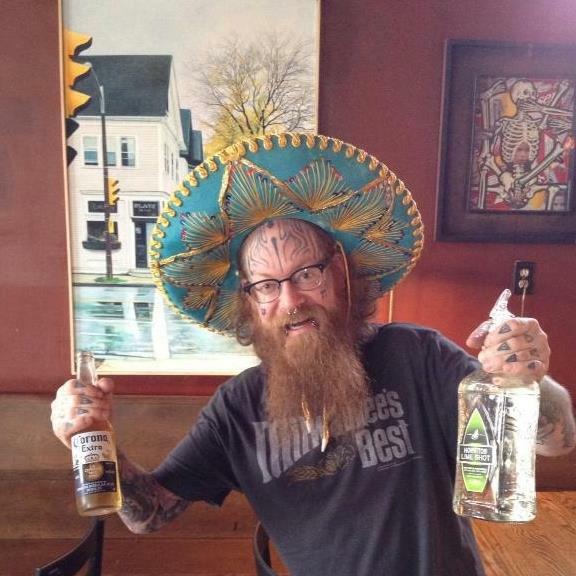 Part time bartender full time musician and painter, Mike Fredrickson spends his Monday afternoons serving the Uptowners customers as well as picking some of his favorite music from a bag full of old CDs he has collected over the years for everyone to listen to. This picture of him says enough.